Here's one way to get a message to smokers: write it in ink made from their own diseased lungs. BBDO Proximity Thailand has produced a fascinating case study on its recent anti-smoking effort for the Thai Health Promotion Foundation. 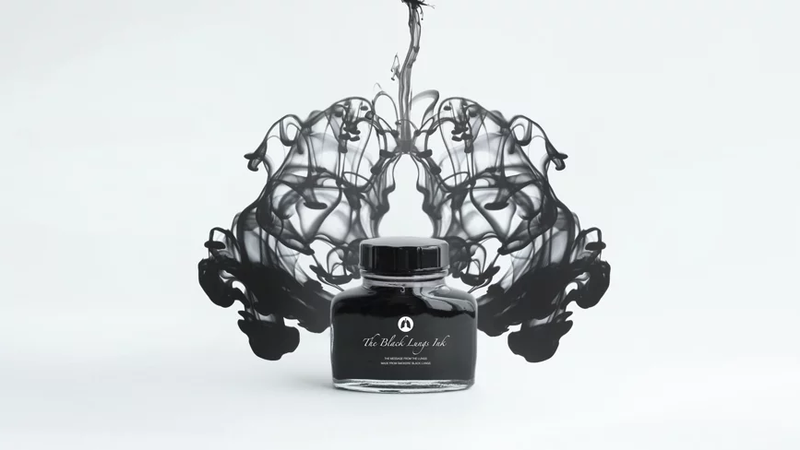 Working with medical faculty at Chulalongkorn University, the agency produced a black ink made from materials extracted from lungs donated after death by longtime smokers. By distributing the ink at public events, the campaign sparked quite a bit of PR and increased signups in the foundation's cessation program by 500 percent compared to the previous year. Morbid incarnations of ink seem to be a trend right now. Magazine Audio Kultur recently published an issue written in literal blood to commemorate the 100th anniversary of the Armenian genocide, and, perhaps most unsettlingly, Vangardist Magazine printed an issue using ink infused with HIV-positive blood.